Athletics plays an important part in the life of The Anthony School. Young people learn a great deal from participation in interscholastic athletics. Lessons in sportsmanship, teamwork, competition, and how to win and lose gracefully are integral parts of our athletic program. Athletic participation also plays an important part in helping our students develop a healthy self-concept, as well as a healthy body. Athletic competition also improves school spirit and helps our students develop pride in The Anthony School. Most importantly, it is a privilege to participate in athletics at Anthony. The opportunity for participation in basketball is one that carries with it responsibilities to the school, to the activity, to other students, to the community, and to the athletes themselves. 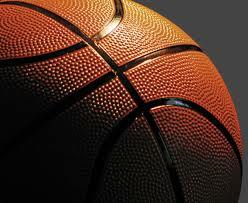 Our middle school teams, boys and girls, play a very competitive schedule consisting of both private and pubic schools. A typical season consists of 12 to 14 games along with a maximum of two tournaments. Students are encouraged to participate and be competitive each day of practice. Developing a sense of purpose and pride creates a formula for success. Our purpose is to teach each athlete the skill, the knowledge, and the confidence needed to perform and be successful at the next level.